VocATE apprentices are making leaps and bounds in their training. VocATE is our apprenticeship scheme that supports young women, with little education or opportunities for training, to learn valuable vocational skills. 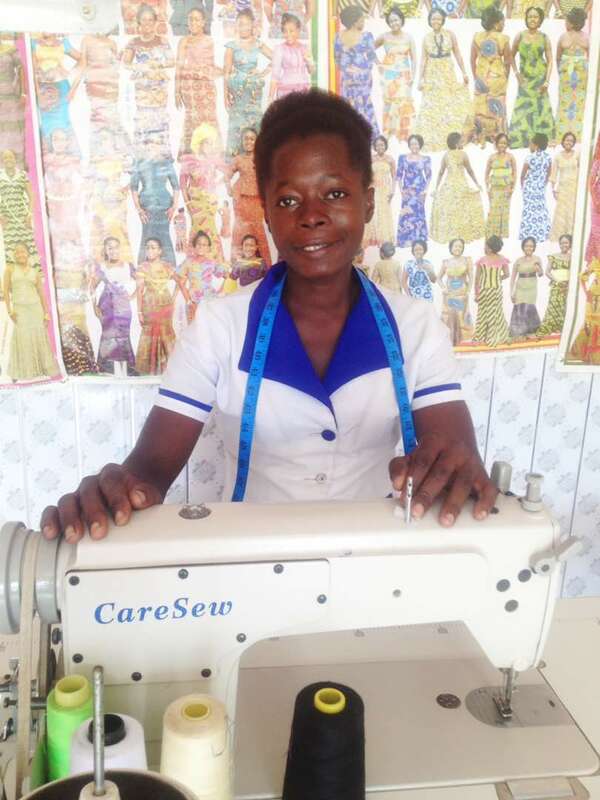 Traditionally apprenticeships in Ghana take three years and are very difficult to access without family connections and the capital to buy equipment. ATE has identified skilled local business owners and pairs them with would-be apprentices. We provide the equipment necessary and ongoing monitoring to ensure all apprentices are supported through their training. Apprentices are then fast-tracked through our BizATE programme, given a grant to kick start their own business and provided with business skills training to enable them to create a growing, thriving business that supports themselves, their family and boosts the economy of their local community. 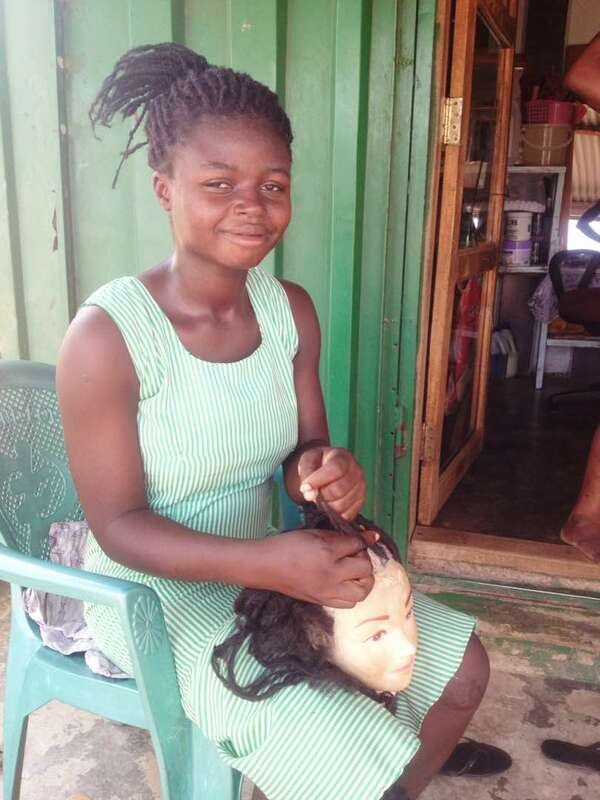 We currently support ten young women training to be hairdressers, seamstresses and weavers. As they enter their third and final year, it is heartening to look back at where their journeys started and at how much they have achieved. We look forward to the day when they are running their own successful businesses and perhaps even training apprentices of their own! 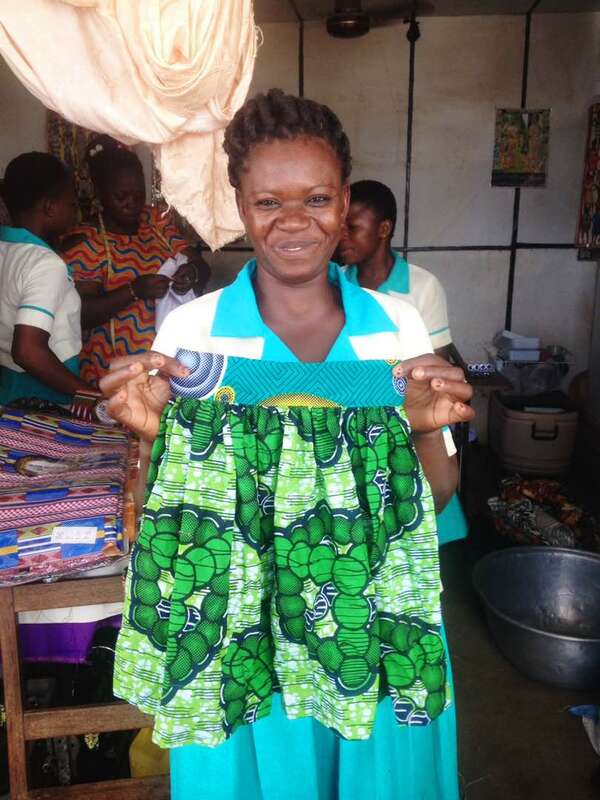 This is Esther with a beautiful skirt she made. Her trainer, Georgina, commended her for her seriousness and the hard work she is putting in. When Ernest asked Esther why her apprenticeship was important to her, Esther told him “I’m taking my apprenticeship very seriously because I’m from a poor background and the only way to fight it is through my apprenticeship”. 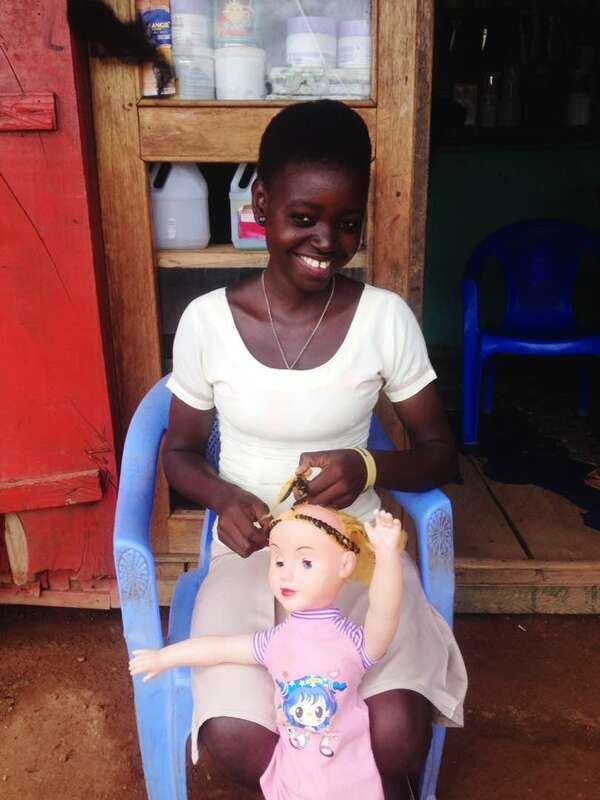 We are proud to see the determination Esther has to take this opportunity and create a better future. Lawrencia, according to her trainer, plays a major role at the workshop and is even out-performing the other apprentices in her workplace. 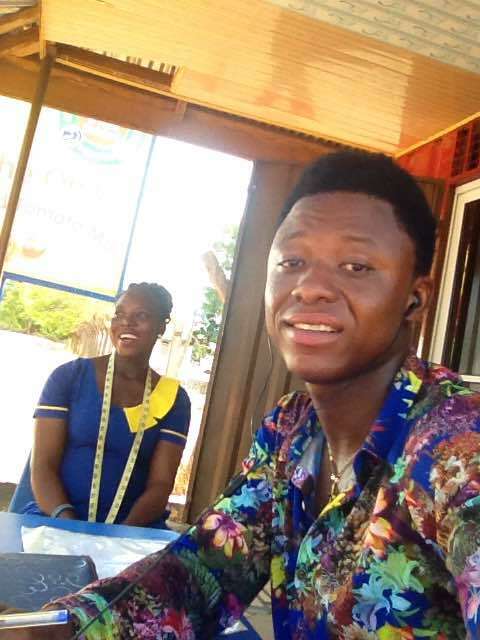 Ernest regularly witnesses Lawrencia working independently on customers hair and believes that her trainer has confidence in her with the level of skills she has gained. Lawrencia has had many struggles during her apprenticeship, particularly with ill health, and we are proud to see that despite some set backs, her commitment to her training has grown. Millicent has worked diligently in her training and understands the difference this apprenticeship can make: “My apprenticeship is the only thing I have and I am relying on it now after dropping out of school. That’s why I’m taking it serious”. Many of the apprentices we support were not able to finish school, often because they needed to support their family by working in the market or the farm. These apprenticeships offer them a chance to learn a trade that they have chosen for themselves. Janet is shown here practicing the hairdressing skills she is learning while waiting for the next customer. Her trainer places a lot of trust in Janet and has even left Janet in charge of the hair salon before. Janet travels a long way to get to her apprenticeship, sometimes causing her to arrive late to work and making her feel tired in the evenings. 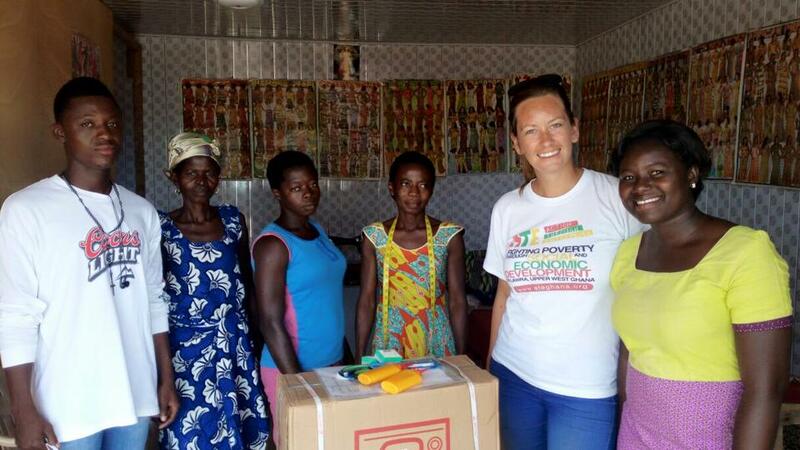 ATE is currently working hard to partner with another organisation working in Ghana and ensure that apprentices who live out of town can be offered a bike at an affordable rate, so watch this space!